What is the typical process you will go through when working with a sound house or individual? Is there a typical process? Everyone works a little differently, but there are many common steps that you will encounter when you engage someone to do your sound. Here are some words of wisdom and advice from my 20+ years of designing and mixing documentary films. Today, a film's soundtrack can be prepped and mixed in all sorts of different-sized facilities. Dare I say that you could have one person do your whole sound job when I’m the owner of a modest facility with small handful of rooms and editors? I'll say that it depends. There are many wonderful creatives working in sound who started out using their bedrooms as their editing room and mix stage. If your project doesn't require a surround sound mix and is going to be heard online, then someone with a basic setup and experience could handle your needs. If your documentary is about the history of warfare and you're going to hear cannonballs flying over your head and cruise missiles blowing up buildings, then you're going to need a larger room and playback system. The process of how to find the right sound house isn't different from finding the other people on your team. Word-of-mouth is probably the best source of candidates. Ask around. If you remember a film where the sound was especially awesome or had a similar presentation as you imagine your film having, find out who did the sound. It's key to find a sound house that has a reputation for creative collaboration. Some might think that there isn't too much thought needed for a film: "If you see a cow, make sure I hear a moo once in a while." But a creative team will lift your film to the next level, perhaps questioning the need for the moo, knowing that not hearing it would reinforce a sense of loneliness or sadness. It's the job of the sound designer and mixer to present you with ideas and alternatives when appropriate. It should never be an argument or struggle. In the long run, if you want a moo, you should get your moo. But your sound designer might ask what kind of emotion you want the moo to emote. Your first contact with a sound house should lead to a conversation about the story, style and sound needs of your film. They should ask to look at your cut (at least a rough cut, ideally a fine cut). That allows the sound supervisor/mixer to get a sense of how much work is going to be needed to edit the production sound and create the sound effects, Foley and ambience for your film. That viewing will raise artistic and practical questions. For instance, do you envision hearing sound effects under silent, vintage footage? The person you are communicating with should give you a sense of the quality of your production sound and a direction of where your budget should go. Ah, that six-letter word, budget. During my initial conversation with the filmmaking team, I try to find out how much that they have set aside for their sound prep and mix. It's not that I want to know how much I can squeeze out of you; it's so I can develop a plan that will fit your resources, or darn close to it. If your budget isn't close to what a typical job would cost with your needs and running time, it's best to know that from the beginning. Anyone who has stayed in business a long time has had to work with budgets of wildly different amounts. Money is an important factor in being able to take on a job, but I wouldn't discount the possibility of your stature or subject matter being of an intangible value. If you'd rather not say what your budget is or you don't have a budget yet, one can quote you a wide price range and explain what different price points will buy you. Once a budget has been established, the next step is to get your show into the audio post pipeline. This work usually begins with the delivery of your locked picture and audio before we get to the spotting session. However, the sound designer or mixer may get involved before the film is locked. 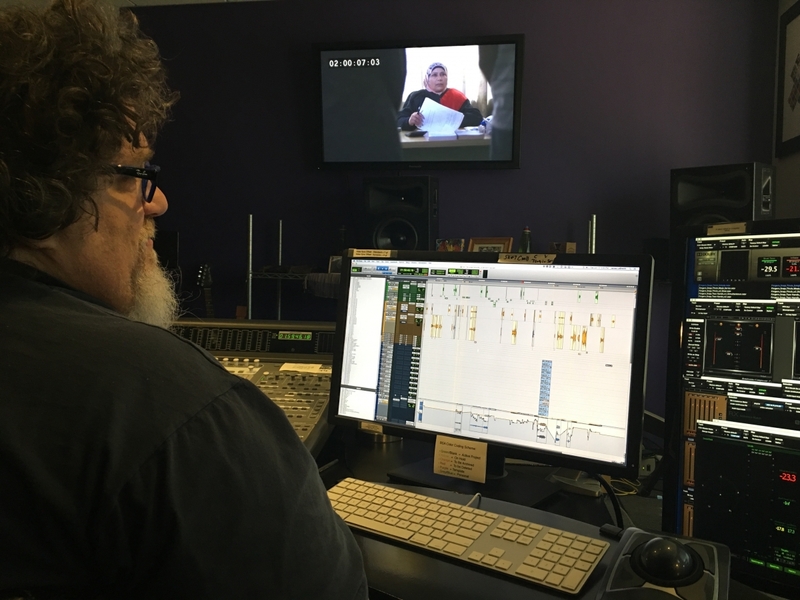 Having them look at your film as the cut develops allows your sound designer to provide insight into how sound can play a role in the storytelling. One of the more important lessons of my career has been how sound can change the perceived length of a scene. Providing some temp sound for the director and editor to work with starts the creative collaboration and can provide valuable information that might affect the pacing of the edit. It's not uncommon for us to get a request to see if we can repair or improve less-than-ideal production sound. Sometimes a track that is littered with distortion can be repaired to the point that the audio is more than usable. That intimate "confession cam" footage that was shot next to the engine room of the ship might be salvageable when noise reduction software (in the hands of an experienced mixer) is used. You should be given information (often in the form of a spec sheet) that details how your sound house likes to receive your project. Our video specs contain information such as our preferred video codec and where we like the timecode window burn to be located. We really like to be able to see footsteps, lips and subtitles! Your audio will come to us in the form of a OMF or AAF export from your editing system. The organization of your tracks and audio handle length are very important parts of your export. There are some quirks that we encounter, depending on what program you're using and what kind of export you give us, so it's good to discuss this before you deliver. It's never a bad idea to do a test export well before you send us the real thing. You don't want to be working out the bugs the night before your spotting session. This is when the whole team comes together to talk through the entire film. During the spotting session, our editors will be taking copious notes. We'll discuss your production audio and ask specific questions about the sound design. Having the dialog editor and the picture editor in the same room is ideal. For instance, we might ask about B-roll or an alternative microphone channel that seems to be missing. Your editor should know where all the bones are buried and can say if it doesn't exist or is unusable. This is also a good time to dig into the details about where you want us to focus our attention. For instance, you might ask us to remove a dog barking in the background that you've hated hearing from the moment the shot was filmed. We might love that dog bark and not realize that you want to leave Fido on the cutting room floor. Once the spotting session is over, we usually work on our own. There is little need for you to be involved with the basic sausage-making of your audio. We do need your involvement when the dialog edit contains a foreign language or when creating subjective sounds. We sometimes bring in a person fluent in that language to make sure that nothing got lost or altered during the dialog edit. We'll often have sound design sessions with the director when there are areas that the sound design is unrealistic or complex. You never want to figure out that the scary wind you made is laughable to your director during the final mix. Once the editorial work is completed, many sound houses perform a premix. Premixing allows us to perform a lot of the boring work that winds up making your audio awesome. Your production sound is usually the prime focus of the premix. Matching the sound of your audio across edits, where we might need to use different mics, is one task that we perform. We also dial in the loudness of your audio. Other tasks include audio restoration and noise reduction. My preference is to have the final music available for the premix. It's not always possible, but having the music on hand gives us a better chance to know how to rough in the other elements such as sound effects and ambiances. The final mix is where you'll start to hear your film as it should be. You no longer need to suffer with the distorted cheering of the hometown crowd when the high school football team hits the field. Fido has been brought inside where he can’t be heard, and that helicopter that disappeared at an edit point now continues to fly away smoothly into the sunset. For some directors, this is their favorite part of the filmmaking process. They can rely on someone else to do the heavy lifting and they can experiment. The first pass is like painting the side of a barn. We start off at the left side of the timeline and work our way down to the right as time progresses. We'll go back and play our work again. If we're happy, we move on. But we always start a little bit earlier so that we have the perspective of how we left the previous movement. Once at the end of the first pass, there should be a playback. This will be the first time that you will experience your film from top to bottom without stopping. During the playback, we all take notes. After the playback, I usually like to hear how the film sounded (as a whole) to the director and their creative team. Then we'll dig in and perform everyone’s notes. Once those notes are done, it's not unheard of to do one more playback before calling it a day, just in case a few more notes pop up. After the mix, you'll receive your masters and stems. Your masters are the full mix. It's likely that you'll get surround sound and stereo mixes. The stems are the different categories of sound (VO, dialog, sound effects and music) split out discretely. These audio assets come in handy when making cut-downs or trailers. No two people make a veggie burger the same way, and the same holds true for those of us working in post-production audio. While there may be similar craft involved in what we do, the inventiveness and approach to creating the best sound for your film varies from person to person. I hope that knowing what is involved when collaborating with a sound house or person will allow you to choose your audio soul mate and know enough so that you can truly collaborate on your audio's character and design.